Mario Lemieux has won the Stanley Cup as a player and an owner. 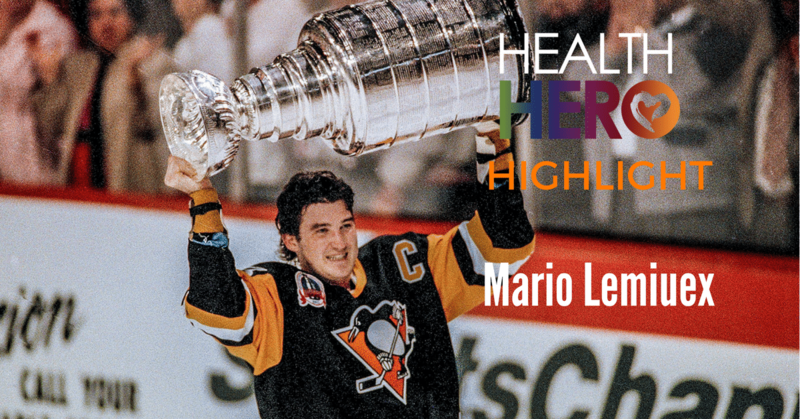 He is considered one of the greatest hockey players of all time but Mario Lemieux’s greatest victory happened when he beat Hodgkin’s lymphoma in 1993. He has won numerous medals in the Olympics, World Championships but he has said one of his most memorable awards he received was the Bill Masterton Trophy after his return from battling the lymphoma. Before his diagnosis, Lemieux was battling Wayne Gretzky’s record for the most goals scored in a single season. Lemieux was forced to undergo treatment which caused him to miss two months ending his quest to break the record. Lemieux channeled his energy and created the Mario Lemieux Foundation while he was undergoing treatment to fund medical research projects and several other cancer organizations. He is also co-creator of Athletes for Hope which introduces charitable organizations to the sports community. By fostering relationships between athletes and charities across all causes, Athletes for Hope helps generate new resources and advocacy for important organizations across the nation.